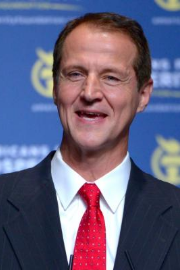 Tim Phillips is president of Americans for Prosperity and Americans for Prosperity Foundation. Americans for Prosperity (AFP) has enjoyed rapid growth, going from nine state chapters in January of 2006 to 32 state chapters with fulltime staff on the ground, with more than 2 million grassroots activists in 50 states, who are fighting for free-market principles and policies at the state, national, and local levels. The combined budget of AFP and AFP Foundation has also grown from just under $3 million in 2004 to over $130 million in 2012. AFP helped lead the successful effort defeating cap-and-trade and card check while also diligently opposing the Washington, D.C. takeover of our health care system through their “Hands Off My Health Care” effort. During 2012, AFP mounted one of the most aggressive grassroots field operations the conservative movement has ever seen in states like Indiana, Florida, Ohio, Colorado, Nebraska and Montana as staff and volunteers knocked on hundreds of thousands of doors and made millions of personalized phone calls opposing the big government policies of President Obama and other liberal political leaders. Tim is a veteran political strategist and one of the nation’s premier grassroots organizers with 28 years of experience, including presidential, gubernatorial and congressional races, as well as state legislative, local and issue-advocacy campaigns. In 1992, Tim managed U.S. Rep. Bob Goodlatte’s (R-VA) first congressional campaign and later served as Rep. Goodlatte’s chief of staff on Capitol Hill for four years. In 1997, Tim helped found Century Strategies, one of the nation’s leading public affairs, political consulting and public relations firms. He was named a “Rising Star in Politics” in 1998 by Campaigns and Elections Magazine. In 2012, Tim was named one of Politico’s top 25 public policy players. Tim and his wife, Julia, have been married for 32 years, and are the proud parents of four children.